"I enjoyed a great view." Have a question for The Westin Chosun, Busan? "View of the beach from the room was great." "1st floor- lobby was amazing view and nice cocktail also food was great." "VERY GOOD CREW AND EXCELLANT HOSPITALITY." In the burgeoning beach destination of Busan, few hotels match the brilliant service and variation offered by The Westin Chosun, Busan. 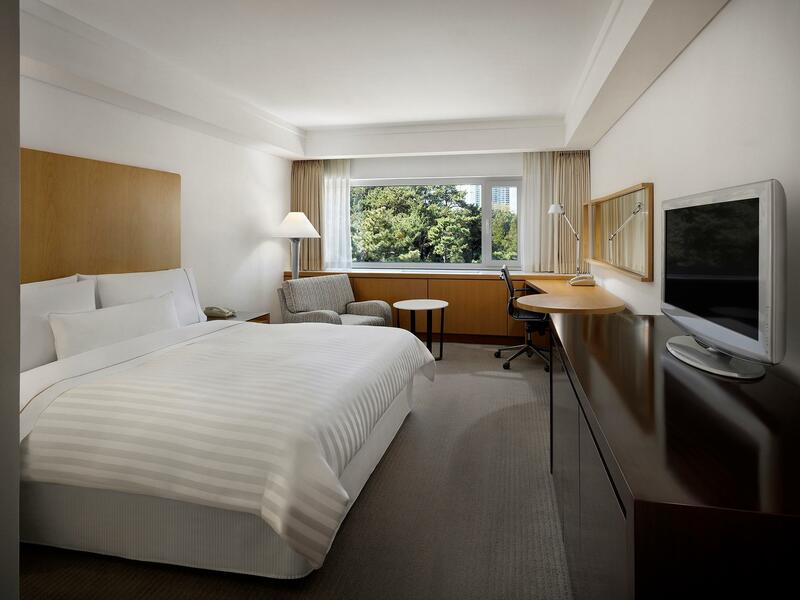 Featuring 290 spacious and modern rooms, the this property is ideal for the business and leisure traveler. For the beachcomber, guests in within proximity to Haeundae Beach, and for the business traveler there is a sizable conference center on-site, as well as the nearby APEC House and the Busan Exhibition and Convention Center. For travelers between board shorts and suits, The Westin Chosun, Busan is still perfect as its facilities include a natural mineral spring, indoor pool, gym, sauna, track, and six different restaurants. The hotel is also located near some of Busan's finest tourist spots, including Gwang-An Bridge and Yon Gung Temple. 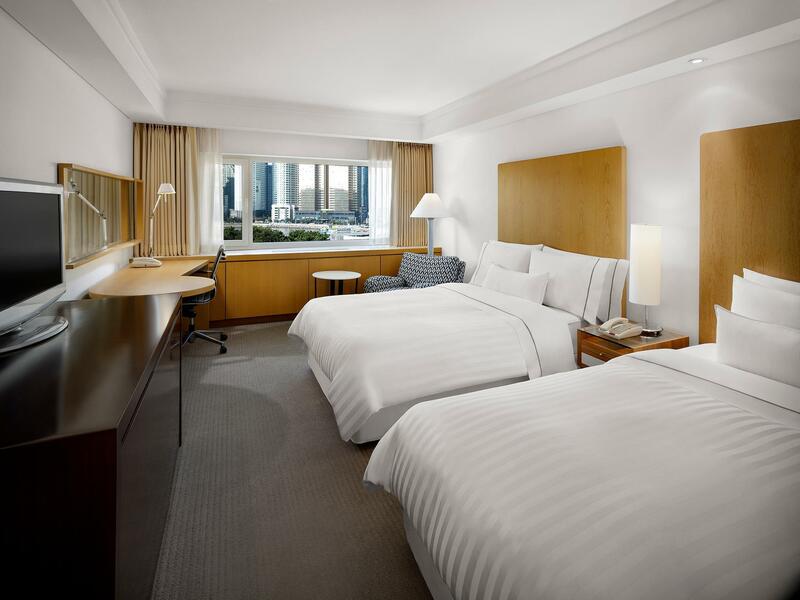 Considering its diverse offerings and location, The Westin Chosun, Busan is a destination that one cannot ignore. "The rooms looking over the beach was excellent"
The fitness center, swimming pool, and sauna will be closed every second Tuesday of each month. I treated Mom and 2 aunties to travel to this hotel. They really liked the location, executive lounge food and spa, room size and view etc. over all they loved staying in this hotel. Even myself love to stay in this hotel every time i travel to busan. Worth spending the money here. Can't beat the location as the hotel is located right on the beach and next to Dongbaek Island. The Bay 101 yacht club, one of the hottest spots in Haeundae area, is also within 2 minute walking distance. Room is super clean and nice. Loved the ocean view, which was truly breathtaking. The sauna, executive club lounge, and pool area are also superb. Services are also top notch. Not a new hotel, but it is time tested and offers unparalleled stay experience. Strongly recommend it for both business and leisure travelers. Will definitely go back. Stayed at the Westin for a conference in Busan. It is in a nice location, the service is as expected, but given the high price tag, I would expect that Wi-Fi should be included. I had breakfast and dinner in their buffet-style restaurant, again, everything is OK, but nothing too spectacular. The fact that the APEC meeting in 2005 took place there, has obviously boosted this region and the hotel. The nearby beach is clean, but a bit small and gets crowded on sunny days. VERY GOOD CREW AND EXCELLANT HOSPITALITY. LOCATED 10MINS WALKING TO SUBWAY STATION , MUST TRY ' OPS BAKERY' JUST 5MINS WALKING DISTANT FROM WESTIN. A family of three, we stayed for one night in a double room with extra bed. View of the beach from the room was great. The location is excellent. The room itself was fine. Furnishings are a bit old but in good condition. Breakfast selection is good by Korean standards. Novotel and Citadines are more reasonably priced. Have never understood why the Westin commands such high prices. I go here whenever I visit Busan. It's well worth the visit. Helpful and friendly staff. Clean and very comfortable room. Great location, right on the beach. I've tried a number of these 5 star hotels on the beach, and I keep coming back here. The location, beautiful park next to the hotel and the view. I think this hotel located in best spot in Haewoondae. Having direct access to the beach allowed us to enjoy our time at 100%! The view was just beautiful and the room was nice and cosy. Only if the bathroom is little bigger, it wpuld be perfect. The dinner buffet was fabulous with a wonderful view of haeundae beach. Also, the breakfast buffet was nice. Executive lounge was a nice quiet place to relax with a stunning view. Our stay was great. The bed was indeed heavenly. The staff were very accommodating especially the porters. The pool was beautiful. The only thing that might have been better is if there were baby changing facilities in the pool locker room. I had to change my baby on a towel on the floor. Overall an excellent place to stay! Good, clean rooms, efficient friendly service. One point to note is that their Beauty Parlour has closed even though there are still signs to it. The concierge happily phoned a local hairdresser for us and showed us on a map how to walk there - quick and easy. Older renovated hotel. Top drawer service. Very good food. Do not miss the breakfast. The hotel is next to the place where they held the G20 Conference. Great running and exercise area. Simply beautiful area. This hotel is not cheap but worth the money. The Spa is very Oriental; be prepared if you are Western. Spa treatments are pricy and the Spa staff does not speak English well. The beach is very clean and easily accessible. Overall; Excellent location; Great food; Good Service. My stay was trouble free, relaxed and too short to enjoy what the hotel had to offer. Its location at the end of Hyundae Beach made waking up in the morning a simple pleasure. The smiles from staff were plentiful and their eagerness to please was humbling. Truly a great place to stay regardless if you are on holidays or on business. The room was fantastic. The amenities were superb as well. The restaurants within the hotel were also very very tasty. The facilities were very enjoyable. If the rates were a little bit lower, I would definitely prefer to stay there again. The service at the hotel was above average. I recommend this hotel to others. I had a great view from my room with the park and ocean. However the room was small and toilet as well. They served same breakfast everyday and I ended up eating strawberry everyday. The staff were very nice and helpful. Location on the beach, professional and courteous service, clean,comfortable and luxurious rooms,and in-house services (restaurants, bars, shops and health and fitness facilities. I especially liked my welcome, with the personalized greeting on the TV when I entered the room for the first time. The staff was helpful with all my requests. The room was a comfortable size for my needs, and was very clean. It was a wonderful experience, with only one fault: Now I'm spoiled, and will not accept anything less from a hotel. I will be back again next time I'm in town. i have high expectations for westins and this hotel definitely met them. i made a mistake on the reservation and they had an extra bed in the room, but it was taken out within 5 minutes and they did not charge us. the irish pub was expensive but nice. beach location, view, and proximity to walking paths made this a great stay. Sea views at breakfast and hotel bar. staff were excellent. very friendly. nice atmosphere and decor. great views and location. prompt room service. comfortable rooms. big downside was the noise. i didn't sleep very well because of the noise - the doors in the corridor opening and closing, people chatting in the corridor, noise from neighbours' tvs and loo flushes, people talking next door... all in all got about four hours sleep. breakfast was nice but quite expensive for mediocre quality food. The rooms are generous in size, modern and well appointed. The buffet restaurant had a fabulous range of cuisine and the view on the beach side looking down the coast and over Busan exceded expectations..
A great hotel that seems realtivel new. The rooms are ideal for the business traveler but it's shame they don't include free internet although it's not expensive. The buffet restaurant had a wide range of cuisine although it was slightly on the expensive side. It appears an easy walk into the heart of Busan. The staff were very friendly and helpful. My boyfriend and I stayed here for a weekend vacation, and thoroughly enjoyed our stay. Though we didn't try the downstairs bar or restaurant options, they all looked very classy with the same beautiful views of the ocean. The views alone were worth our stay.